THE LAST TIME I WAS driving home in a hard snow in South Carolina, my car slid off Interstate 26 about 10 miles out of Columbia and buried itself halfway in a ditch. I sat there feeling stupid as the sky darkened and the air got chillier, until a couple of good old boys pulled up behind me. They were entirely too far into several six-packs of Budweiser and playing Lynyrd Skynyrd on their radio much too loud. "Hey, bubba!" the driver shouted. "Need a hand?" He and his buddy got out and hunkered down in the snowbank behind my car. With much huffing and grunting, and one or two tumbles into the snow, and a pause to dump ice down each other's backs, they got me pushed back onto the highway. I tried to pay them for their troubles, but the driver held up a beer and waved me off. "Naw, man, we'd just piss it away," he said. When I shook their hands and gave them my thanks, the second fellow grinned and added, "Hell, don't worry about it, buddy-ro. We're all just people." Non-Southerners, black and white, sometimes have trouble understanding this story. I think it is because they believe that since I am an African-American man, these two Carolina white fellows were supposed to get out of their car and beat me with chains. Or at the very least, toss a beer can at my head on the way by. The TV and movie images of Southern anti-black terrorism--the lynchings and beatings and the dim horror of slavery that came before--are unforgettably seared in the memories of the generations alive today. This racial intolerance is not the product of somebody's imagination: it is a fact of Southern life. But it rarely occurs to many outside the South that relationships between the races are infinitely more complex in the South--more human at the same time they can be more inhuman. As for me, I would rather be stranded on the road in South Carolina than in South Valley. 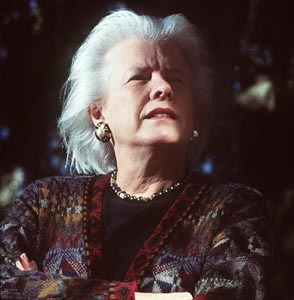 It should come as no surprise, therefore, that Shirley Ann Grau, a white Southerner novelist, can probably reveal more to us about the true nature of relations between blacks and whites in America than we will learn from a hundred finger-pointing hearings by President Clinton's Advisory Board on Race. Raised in Alabama and Louisiana during the middle years of the century--a period when the races were segregated by law--Grau has written some of the most accurate portrayals of African-American life ever produced in American literature. Relatively few people, however, have heard about Grau. It is ironic that while the author has mastered the chronicling of the secrets of the human heart over the course of six novels (The Hard Blue Sky, The House on Coliseum Street, The Keepers of the House, The Condor Passes, Evidence of Love and Roadwalkers) and three collections of short stories (The Black Prince and Other Stories, The Wind Shifting West and Nine Women), and despite having won the Pulitzer for fiction in 1965 (for Keepers), the 68-year-old author is something of a hidden treasure herself outside her native South. It is, of course, the rest of the country's loss. An annotated guide to the works of Shirley Ann Grau. SHIRLEY ANN GRAU IS at her best when she is creating black characters who are not caricatures, a relatively obscure art among white American fiction writers. Grau walks around quietly in unlighted black closets with deep respect and without breaking a thing, observing and cataloguing, and then shows in her writings how much she understands about what she has seen. She writes from that red-clay crossroads deep in the Southern countryside where black people and white people meet and swap fish sandwiches and stories and understand each other the best. A few Southern white writers have made memorable visits to that spot--Carson McCullers and Eudora Welty come quickest to mind. It is a place where Northern white writers almost never go. Grau thinks she may merely have been a little ahead of her time in writing stories about black characters in the 1950s. "When I started writing black stories," she says by phone from her New Orleans home, "it just was not done. Editors didn't want them. Publishers didn't want them. And then there was a flip-flop after the 1960s, and that's all they wanted." She downplays any personal difficulties she may have had as a white woman publishing a book in the early 1950s (The Black Prince) largely consisting of stories about black people. Like many of her women characters, she seems always to have been something of a rebel, distinctly not of the Confederate variety. Oliver, who was pretty much bored with the whole thing, sat on the running board of the car and whittled peach stones into fantastic figures. He never worked with wood, only the peach pits. And he did the same thing over and over again, a funny little animal that might have been a monkey. ... "What's that?" I asked him practically every time we went out. "Lay-overs to catch meddlers, missy," he'd tell me quietly and that was that. I never did find out what they were, or what they were for, or what he did with them. In allowing Oliver his secrets, Grau allows him his dignity and his individuality. Where a novelist such as Margaret Mitchell looked at African-Americans as painted lawn jockeys, only included for the purpose of serving white folks' needs, Grau sees her black characters as people with lives of their own. Grau herself thinks that she is doing nothing very special. "I grew up in an integrated society, though at the time no one called it integrated, of course," she says, a remark that is remarkable only to those who are not familiar with racial life in the '40s and '50s South. Social contact across racial boundaries was far more common than non-Southerners would care to believe. "My writing reflects the world I live in, that's all," she continues. "One doesn't sit down one day and say, 'Let's see, I'll write a story about a white woman today. And tomorrow I'll write a story about a black man.' I'm interested in people, but not as representatives of a race. I see people first. I do stories first." She sighs, audibly. "I'm a little weary of making race the basis of any fiction, or making it too important. It's there in the background, but then lots of things are in the background. Otherwise--and this isn't an original example--it turns into something like Uncle Tom's Cabin. Impeccable motives. Absolutely ghastly fiction." WHERE GRAU STANDS ahead of McCullers and Welty, or even most African-American writers, is her insight into a cornerstone of the souls of black folk: African spirituality. Very little of American literature reflects the true nature of African-Americans, mostly because much of what makes up the "African" part of African-American is a closely held secret. Quite often it is kept hidden even from black people ourselves. In this context, "African" has become a geographical location of origin or a way of dressing or dancing or wearing one's hair, rather than a way of living and explaining the universe. This is particularly true when it comes to any discussion about aboriginal African religion, and how much of it African-Americans retain to this day. Voodoo, it is called--almost always with a small "v" to indicate that it is not afforded equal status with Christianity and Buddhism and the like. The exact meaning of Africa and African spiritualism and its connections to today's African-Americans lie in the deepest recesses of the black psyche where only a few authors have touched it. Zora Neale Hurston, certainly. And Toni Morrison. And John Edgar Wideman and Walter Mosley, among others. Almost all of them black. Grau can be included in that short list. All the next week, Mary Woods drew on the blackboard. ... By the time the colored chalks were used up, her picture covered almost all the cracked expanse of board, a crowded tangle of colors and shapes. There was a green field with fire and flames running through the grass, exploding in the crown of a pine tree. There was yellow sun and there was rain, pouring straight down in heavy gray sheets. There was sky and moon and a ragged small cloud. The images were pressed together, so that the line of a tree trunk was also the back of a rabbit; the line of a river was the blade of a knife; the moon held a curled cat's tail. "Mary Woods, what will happen to you?" Sister Celeste asked aloud. Who knows? Mary Woods said, her voice a faint whisper in the creaking walls. I've gone back to traveling. A black shadow hovered against the glare of a window, briefly. I don't need your prayers, said Mary Woods. I bring my gods with me. From before. You should know them. I've painted their pictures for you a hundred times. But you didn't see. This is voodoo, my friends, a far different way to characterize this ancient religion than one sees in the bloody, zombie-filled depictions of movies like Angel Heart or The Serpent and the Rainbow. And unlike Sister Celeste, Shirley Grau sees it. Facing Race: The words of thoughtful writers such as Shirley Ann Grau add depth to the public debate about black-white relations. ALTHOUGH RACE AND African-American life are among the author's favorite topics, they are by no means the only things she writes about. 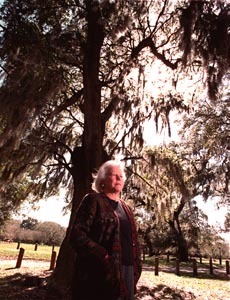 Grau often draws heavily on the background and settings of the conservative Old South for her fiction. At the same time, the New Orleans author's writings highlight the strength and independence of women rather than elevating women on pedestals. Grau is also quite comfortable writing believably about people from widely varying backgrounds, be they barefoot bayou fishermen, Martha's Vineyard summer vacationers, homeless wanderers, members of the rising black middle class or the descendant owners of centuries-old Louisiana mansions. Perhaps Grau is relatively unknown outside her home region because she does not write about war or other great acts of violence, or of the grand events that either elevate or shatter the mighty. The things that shake her world are the conventions and constrictions that smother life and the creativity of the small and the voiceless. A woman takes her annual beach resort vacation for the first time after her husband's death; the rest of the vacationers measure her every action to see if she's responding properly as a widow should. A young light-skinned black Southern couple considers moving to Oregon, where they have heard it is easy to pass over the color line and become white. A wife and husband agree to stay in their marriage only until the day of their daughter's wedding. "The baby didn't die because of you," her mother said. But Willie May knew better. She knew. "He wasn't your fault. But you shouldn't have run away. ... Your duty," her mother said, "you don't ever run away from your duty to your family. Not ever. Not until you die." Willie May thought wearily, and with horror: You aren't ever free. Something always holds you, stops you, brings you back. Her work could provide a creative-writing-course textbook on dialogue. How to use dialogue to move the story line along. How to portray accurately the way people talk, especially the way Southerners talk. Grau is a master at accomplishing this with a minimum of words. "And Aggie got plain mad," says a black farmhand in Grau's short story "White Girl, Fine Girl" (from The Black Prince). "So she ain't having nothing to do with no men. She don't let anybody come in her house no more. And she got the kids so they don't let their daddies walk down the street. They got to go round the next block or the kids throw rocks at them. And they big enough to hurt." An ardent drawing-room conversationalist who can and will talk for hours on wide-ranging subjects, Grau seems to find the subject of herself largely uninteresting. Asked why the biographies on her book jackets give so little information, she explains, "Well, there's nothing to say. I have had a most unadventurous life." Grau tells me that she comes from a "large, extended family; people used to visit for years with each other." Her family is "from all sorts of places," as diverse as New Orleans, New York and Louisville. "They wandered." Several of Grau's online biographies list her father's Louisiana family as part Creole, which she denies with a laugh. Louisiana writer Herman Fuselier defines Creole as "French-speaking black[s] of Southwest Louisiana" who "trace their lineage back to Africa, Europe and the francophone islands of the Caribbean." "There's a stage where the media, with due respect, is fond of one particular word," Grau says. "It starts out in one article and everybody picks it up, and then it ends up in all of them. I'm not Creole." She does not sound as if it would matter to her one way or another if she were; she'd just like stories about herself to be accurate. Her writing techniques can be as interesting as her stories themselves. "I get a lot of my ideas from newspapers," she explains. "I probably have four papers a day come here. But I don't get much from the front pages. Front pages are all alike. I look at the obituaries. They're a wonderful source." She seems content with the slow, measured pace of her writing career. "I've got a half-finished novel which I've not gotten to," Grau says. "If I put six months of work in it, it will be done." She sounds unhurried, particularly because, unlike most published fiction writers, she is not under contract. "I don't do advance contracts. The advance contract seems to bind the writer more than it binds the publisher. I like to take my chances each time." IT WAS ONCE SUGGESTED TO Margaret Mitchell that because she was such a historian, she should probably write history books instead of fiction. The author of Gone With the Wind is supposed to have replied that she preferred to write fiction, because then she could write the truth. She could have written a history text about the ancestor who was the real-life model for the Scarlett O'Hara character. But then she could not have written of Scarlett's thoughts, her feelings or her motivations; she could only have written of those things contained in the historic record. The resulting book would have been historically accurate, but it would not have been whole. Therefore, it would not have been the truth. Mitchell probably did as much to obscure the true nature of American race relations as any American author. But her point is well taken. Fiction has been an enormously powerful political tool in the course of American history. Uncle Tom's Cabin did not start the Civil War, as Abraham Lincoln once (not so seriously) suggested. But the novel did help to harden antebellum Northern attitudes against the institution of slavery, may have helped bring about Lincoln's election in 1860 and may have caused the Civil War to come sooner. Gone With the Wind itself helped resurrect the image of Southern plantation owners to the position of America's nostalgic and courageous lost royalty, rather than as traders in human flesh. As W.E.B. Du Bois' "century of the color line" draws to a close, and the national dialogue on race careens awkwardly toward who knows what, perhaps the words of thoughtful, sensitive authors like Shirley Ann Grau will become more and more important to the debate and to our understanding. If that is to be then we must lower our voices and listen closely. Grau is not much of a shouter. She does not throw her books and stories against the restrictions of society's shores like ocean's waves, pounding great rents in our collective consciousness with the force of her words. Instead her collective work is more like a quiet brook whispering along the edge of a stone wall, silently delving, digging, moving--brick upon brick, stone upon stone--until the foundation finally cracks, and one day the whole structure collapses in a great roar, without knowing its growing weakness or from whence its danger came. From the February 26-March 4, 1998 issue of Metro.